This study examines the potential to tree component biomass, biomass for bioenergy product and sequester carbon of forest area. In order to know about these value, we used CO2FIX program. Thining harvesting scenario were analyzed, involving the establishment of short rotation harvesting (each 10 years) and long rotation plantations (200 year). 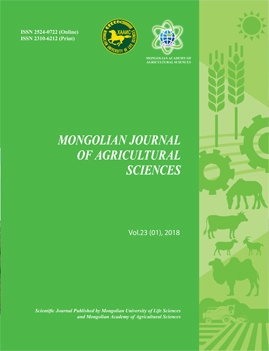 Research results showed an overall tree biomass (stem, foliage, branch and root) were accounted 2.49 ton/ha±0.67, 0.14 ton/ha±0.03, 0.35 ton/ha±0.09 and 0.65 ton/ha±0.18. The potential of biomass for bioenergy product and sequester carbon was increase until the end of project simulation. The increase average biomass of bioenergy was 25.96 Mg/ha±13.46 and the average of net sequestered carbon increase about 16.6±35.9 MgCO2equiv/ha. Our analysis on this study for all research variables is highest at each 40 year periods because at this age, the rate of increment in the biomass of the tree is maximized.